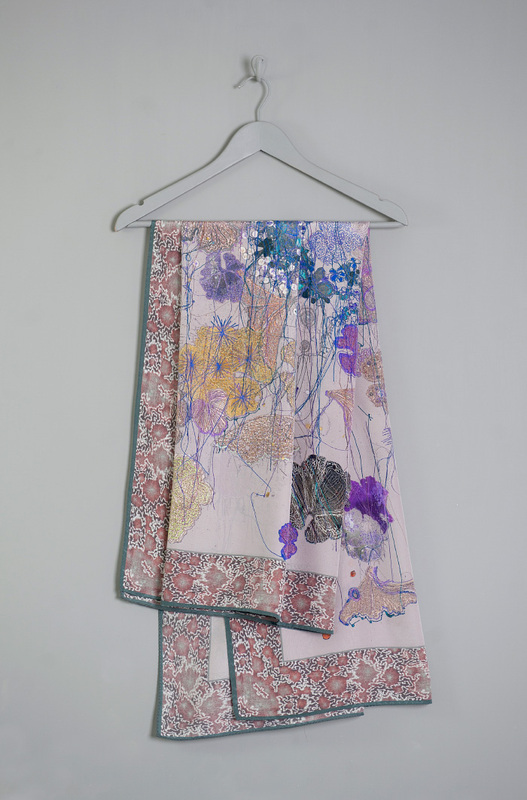 Extremely light, warm and luxurious to wear, these designs are rich in detail and colour deriving from my embroidered artworks. Silk adapts to your body heat so they are great all year round and brilliant for travel. 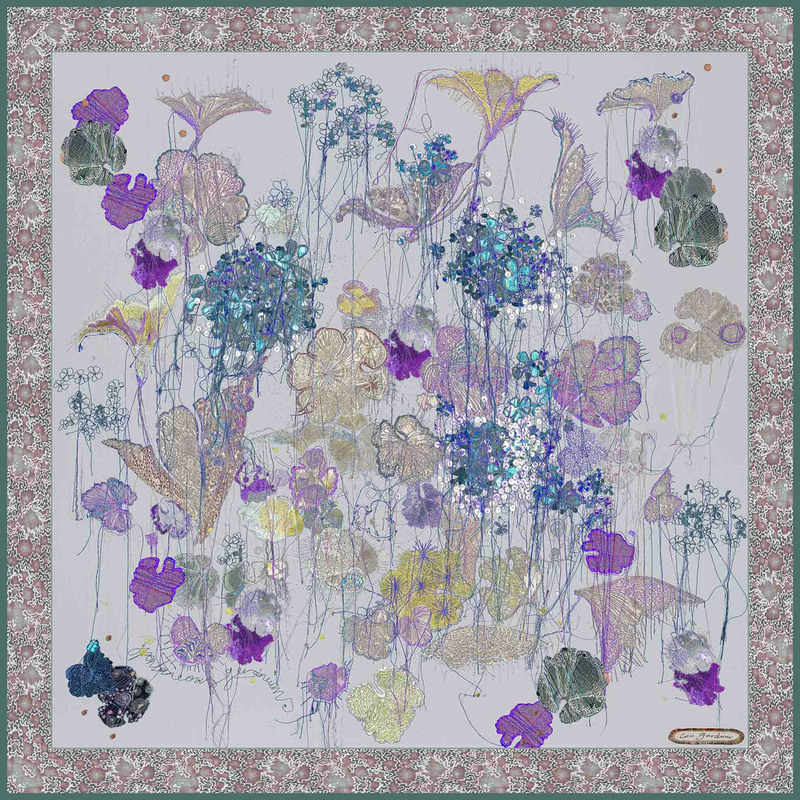 Each scarf is a limited edition of 100 and can only be bought directly through this website or at one of 5 high-end galleries in the UK. 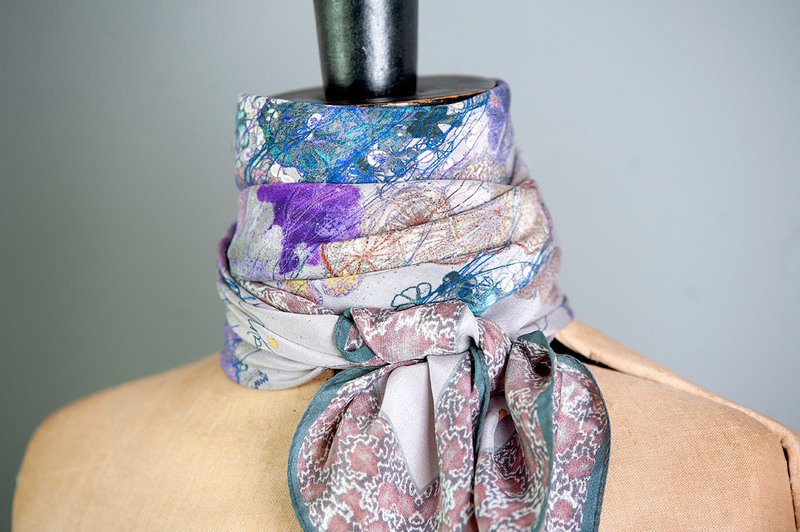 All scarves are Crepe De Chine pure silk, printed and hemmed locally in Cheshire and then gift wrapped before being sent to you. Please order via PayPal here & Louise will get your scarf to you asap. For enquiries please email - louise@lougardiner.co.uk. Friends are wearing the scarves in my Colourful Women section. 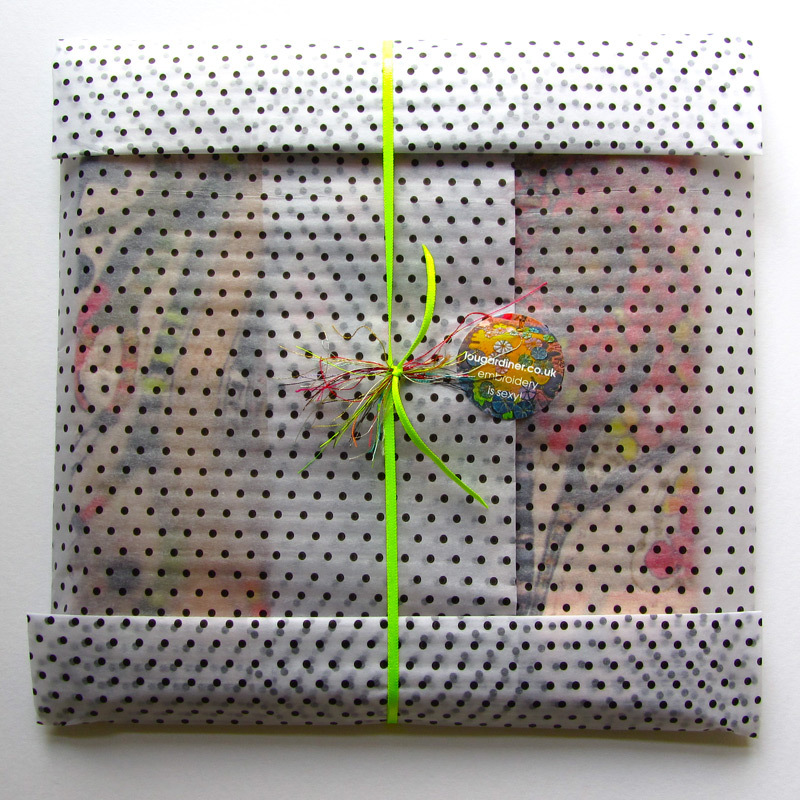 All scarves are specially gift wrapped with nice paper, card, ribbon and stickers.